How do we love the homeless? How can we love homeless people best? When I read about and study the life of Jesus, it seems pretty clear that he reached out to the poor, needy and sick. At the same time, he was pretty disgusted with churchgoers who were concerned only with rules and the appearance of the church and themselves. I’ve come to the conclusion lately that this is a pretty literal example of how to live. So I started volunteering at the after school program through Jubilee Partners, an opportunity that enabled me to serve less fortunate children. I also started teaching Sunday School at my church. I’m really trying to work on being less materialistic and only buy food, clothes and items that I need and are made ethically so I am not causing any person or creature to be exploited. I feel that I am making progress toward being like Jesus in these areas but one thing stumps me every time: am I doing these things out of a spirit of love? I make relationships with people whenever I contact them through these small acts of trying to live out my faith. 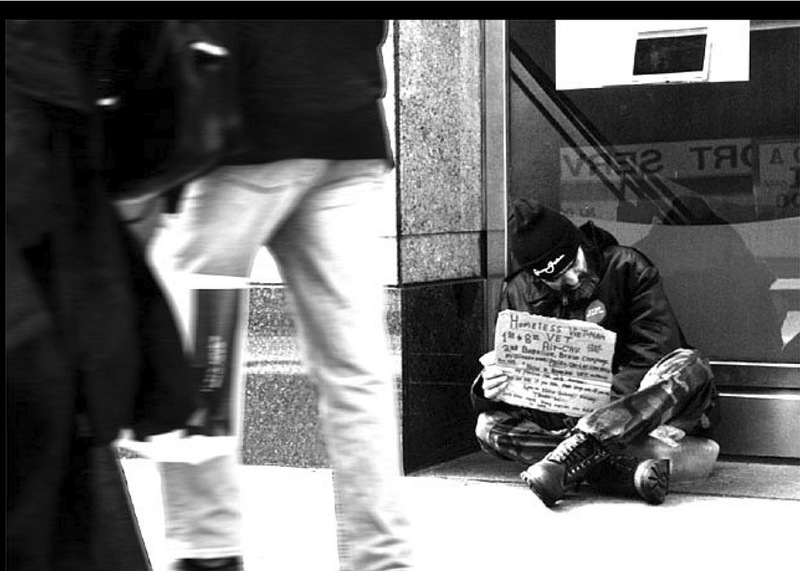 But many times, I pass homeless people and I recognize them as a poor and needy person that I think Jesus would reach out to. It’s always tempting to ignore a homeless person because I am behind glass and protected. Plus, I can always “assume” that the person is truly a con artist. But I don’t know. Did Jesus always know? Did Jesus ever get “ripped off”? Would he be proud of my selectiveness? I give generously to my friends all the time. While most of my friends are “poor college students,” they all have everything in terms of necessities. But I still buy them presents and treat them to stuff even though they don’t need it and they do the same for me. Even “sinners” do that. Am I loving my neighbor as myself if I demand that a homeless person be truly needy before I am generous? The love chapter of the Bible reminds us it doesn’t truly matter if I give the homeless person a granola bar, a gift card to McDonalds, cash, my car or even if I die for them if I do it without love. I experienced this firsthand when I was driving to Sprouts and saw a lady begging nearby with a sign saying “I have a hungry kid.” I invited her to go to Sprouts with me to get groceries. I knew I had the extra money but it did cross my mind that I was taking her to a store so expensive I wouldn’t buy all my groceries there. But love your neighbor as yourself, right? She was a sweet lady and respected the budget very well. The whole thing was awkward, I just did it because I felt like I should. I barely looked at her and we didn’t talk much. That was no example of love. Plus, those groceries would last her maybe a few days which likely won’t help her make a sustainable life. So what is love in the situation of homelessness? I hope you don’t feel ripped off that you just read a bunch of ramblings only to be a asked question in the end, but I want to ask everyone because we all need to have this conversation. What is love in the situation of homelessness? Should I take the person to a shelter? Is it wrong that I would only pick up a woman? Is it wrong to ignore a person because I am hurrying to volunteer at Jubilee Partners? Please write in with your comments or suggestions.